Yoga detox: how does yoga influence our liver? It seems to be generally accepted nowadays that practicing yoga can influence our health for the better. Indeed, there are a myriad of published research studies which show that practicing yoga (and meditation) can improve your health. This month I want to consider how yoga can help us to detox – is there such a thing as yoga detox? Before delving onto this huge topic, I want to focus first on the liver. When we talk about “detox” what we mean is getting rid of waste products, chemicals and things that the body does not need. The liver is the main organ involved in detox, so it makes sense to look first at how the liver works and then how yoga can influence this. The liver is the body´s largest organ (after the skin) and is located in the upper right portion of your abdomen (beneath the diaphragm and above the stomach). It is responsible for cleaning your blood (it takes between 3 and 4 minutes for the whole of our blood volume to pass through the liver). Toxins are processed in the liver and released from there. The liver produces and excretes bile – which is needed for metabolising (breaking down) fats, proteins and carbohydrates. It also produces hormones and stores energy (as glycogen). So, detox (cleaning out waste) is actually a natural process for the body and for the liver in particular. Fatigue can be one of the common signs of liver imbalance or problems. At the most extreme end, when the liver starts to fail, people can appear jaundiced – yellow – in the skin and eyes in particular. In Western Medicine, doctors can run a battery of tests to assess how healthy your liver is – they use blood tests called liver function tests. In Chinese medicine, energy flows through the body through channels, known as meridians and it is believed that unhealthy flow can cause imbalance in the body, leading to ill-health. The liver meridian begins at the nail of the big toe and runs along the top of the foot, over the ankle, then up the inside of the leg. It goes into the lower abdomen, into the liver and gall bladder and continues upwards. There are a couple of branches – the main one ends near the eyes. In Chinese medicine, emotions are an indicator of imbalances in the energy flow and ill-health. Signs of liver imbalance can include frequent or unreasonable anger or irritation. How does yoga influence our health and our body? If we feel calmer after a yoga class, then that is a physical change that we can notice immediately. To my logic, it makes sense that there has been some change internally. Whether this is the position, movement, breath, music or something else that has created the change, something is different, for the positive. Science has shown that exercising gives us a boost of energy. The medical world also agrees that physical exercise and proper breathing can improve blood circulation and blood oxygenation. Therefore, it follows that practicing yoga can help to improve the efficiency of blood circulation – this means the liver works less to cleanse more effectively, which might help to reduce any feelings of fatigue. How can yoga influence the liver? 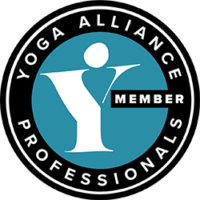 I trained with one of the teachers at the forefront of Yin Yoga – Sarah Powers (for more information follow this external link to her Insight Yoga training). She describes how particular movements or holding particular positions can support the flow of chi (energy) through the meridians, organs and whole body. For example, in Yin yoga certain positions will tug or stimulate the areas of the body where the liver meridian runs. Dragon fly (wide legged seated forward fold) stimulates the inner leg. Wide-knee child’s pose pulls the tissues in the inner thighs. I find it easiest to feel and notice the body sensations in my yin practice (as we hold each position for 3 to 5 minutes), but I also believe you can become aware of this during a Hatha class, or other yoga practice. By being present, breathing and noticing the sensations in your body, you can feel the movement internally when you come gently out of a yin pose. I’ve seen people come in with the worst detox headaches they have ever felt, spend 90 minutes breathing into some deep yin holds, and leave the class feeling calmer and clearer. You can read more about how yin yoga can improve liver health and soothe anger in an earlier article here. Some prominent yoga teachers teach that twists are the best thing to “stimulate” the liver, to squeeze and release. I´m not quite sure I´m in agreement with the way some teachers explain this. However, I do however believe that how we move our bodies, including how we breathe, can influence us on many levels. Exercising the mid-section of the body causes contraction and relaxation in that area. This can have a toning effect on that part of your body and consequently on the liver. This might help the liver to fill and drain blood more efficiently. This in turn helps it to cleanse – so will support our detox. Regular exercise and movement of the body can certainly help with blood flow. Add into the equation the proper breathing that we practice in yoga, it makes sense to me that yoga can support us on a detox. Combine yoga and breathing with a healthy diet, proper rest (sleep) and adequate hydration and you create the optimum environment for the body to naturally detox. As you delve into different aspects of yoga, Chinese medicine, reflexology, and so on, you can start to develop a practice that supports your personal needs. You can identify when you are out of balance and plan a practice to help to regain that balance. Practicing yoga at home, at your local gym or studio will certainly help to improve your health and wellbeing. Remember, if you are concerned about the health of your liver, or have any health concerns, we recommend that you seek medical advice immediately. We also recommend that you practice yoga with well trained and qualified yoga instructors. We offer daily yoga classes here at La Crisalida Retreats, as we believe that yoga is an important part of creating a life of health and wellbeing. You can read more about the types of yoga classes available on our yoga page.